Did you know that you can preserve lemons? What a concept! Citrus is in mass production in California right now and time is running out to take advantage of the prices and sweetness. Preserving lemons is a productive method for adding some precious time to those sweet treats and it is extremely simple. When you preserve a lemon, you are actually using the rind once it is ready. The rind softens and mellows, yet retains all the characteristics of the lemon flavor. 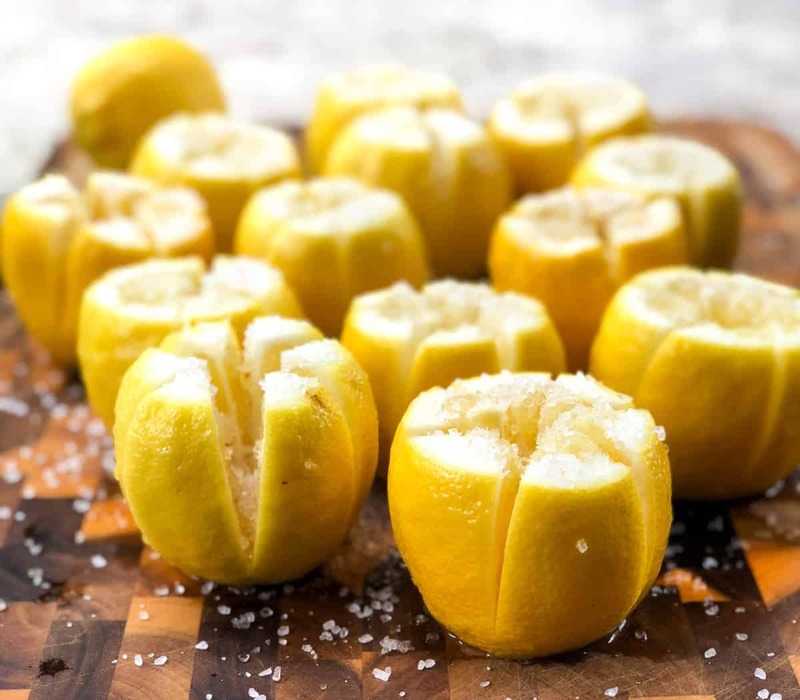 Make a star-shaped pattern at the top of each lemon. Do not cut all the way through, to keep the sections intact with each other. Next is to add coarse salt to the lemons. Push the salt down into the opening… don’t be afraid! You cannot oversalt at this point. Next place all the lemons in a clean jar and push down to get them squished in. This will help to release the juices and begin to build up moisture. The lemons must be fully covered in juice in order to start the preservation process. Juice a few more lemons, or add store bought lemon juice to bring the liquid level to the top of the lemons. Store in the fridge and continue to press the lemons down over the next few weeks while the preserving process continues. The lemons will be ready after several weeks. Meet me back here soon to learn how to use these in a recipe! Scrub and rinse the lemons. Prepare the jar(s) by throughly cleaning them also. Slice the ends off each lemon. Slice the lemons into a star shaped (6 slices) but do not cut all the way through to keep the lemons intact. Pour salt over each lemon, opening up the sections to make sure the salt gets all the way down inside. Add the lemons to the jar(s) and using lemon juice, fillt he jars up to the top to cover the lemons. Store in the fridge for a few weeks until ready to use.